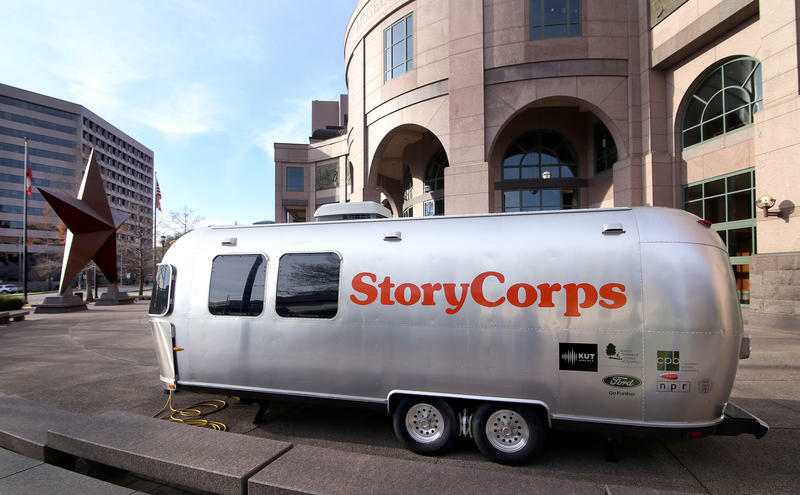 The StoryCorps mobile booth is in Austin this month, and we’re bringing you some of the stories that are being recorded there. Locally recorded stories will air on Monday and Wednesday mornings during Morning Edition and archived here. Joe Shaffer, 85, recently sat down with his grandson, Jerry Smith. To Jerry, his grandparents are known as “Ayee” and BB. Ayee shared some memories and some advice. Luis Cepeda recently sat down with his wife, Alejandra Lima, and talked about when Luis, then an undocumented immigrant, spent eight months in an ICE detention center. AUSTIN, Texas – Dec. 12, 2017 – StoryCorps, a renowned nonprofit organization celebrating the stories of everyday Americans, will record interviews in Austin from Jan. 5 to Feb. 2, 2018 as part of its cross-country MobileBooth tour. Having collected more than 65,000 interviews from Americans in all 50 states, StoryCorps has gathered one of the largest single collections of human voices ever recorded.